Going natural without any face freezing injections! A refreshing treatment serum mist recommended to be used twice daily, day and night, (before the application of SNAILWHITE Facial Cream / moisturizer). Especially suited for those who want to achieve a firmer and slimmer facial shape as well as reduced wrinkles. With consistent usage, it will reveal a more supple and youthful skin. P/S: Average usage of a bottle is around 3 to 5 months depending on individuals. Individuals’ result may vary. 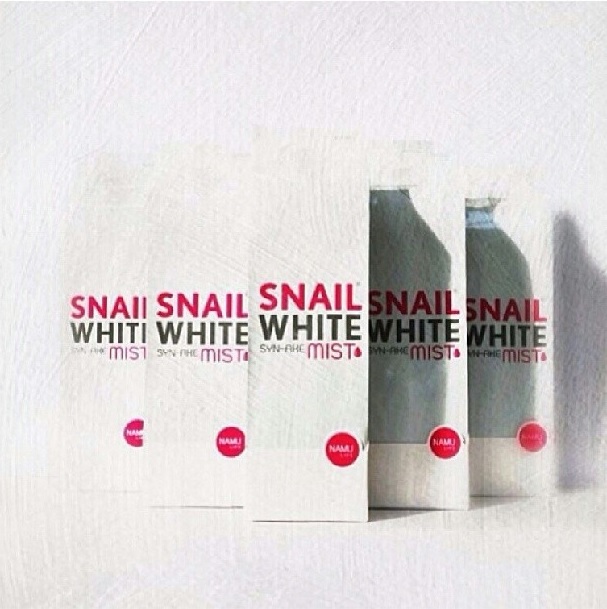 In general, SNAILWHITE Syn-Ake Mist is suitable for all skin types, both females and males. It is great for individuals who want a firmer and radiant skin. It’s a lightweight treatment mist formulated with pure snail secretion filtrate and syn-ake which effectively repair your damaged skin. 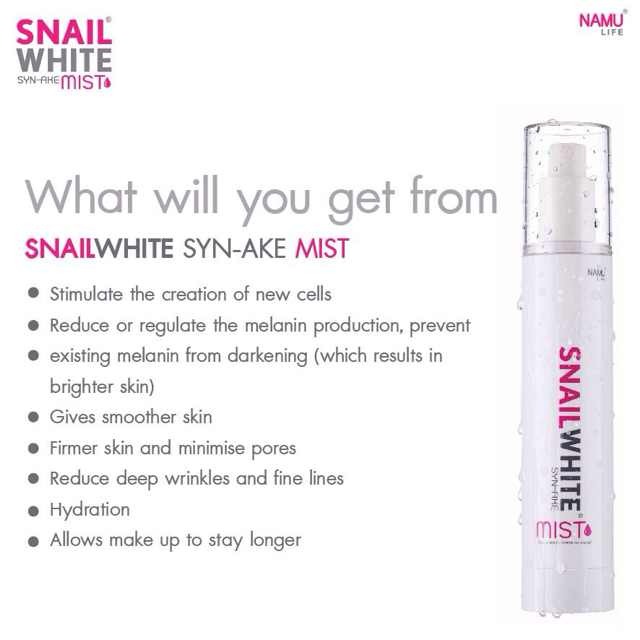 SNAILWHITE Syn-Ake Mist acts as a soothing, refreshing, rehydrating and cooling serum to your skin thus firming, brightening and regenerating to a smoother and healthier skin. Simultaneously protects the skin from future damages. Ever experience dull and saggy skin? Thinking of going for some face freezing injections? Or moisturizer and foundation just doesn’t seem to set well together? You no longer have to stress with Syn-Ake Mist which is made of all natural ingredients! It acts like a treatment essence, targeting on firming our skin and achieving a fairer skin in time to come! Having a good serum as the base, our skin is able to absorb the nutrients of the moisturizer thus, allowing our make-up to last longer. It contains the 3 Main Ingredients: Alpha-Arbutin (helps in achieving a brighter skin), Syn-Ake (natural firming properties) and Snail Secretion Filtrate (minimises enlarged pores and smoother skin)! Do you always hate that double chin fat and facing some of the issues below? Syn-Ake Mist is suitable in achieving a firmer and supple skin. It also allows make-up to stay longer! Say no to dull, wrinkled and saggy skin now! As the molecules are small, it absorbs fast and penetrates deep into our skin surface layer. So, just one or two spray(s) is/are enough to do the job! It allows make-up to last longer and giving a refreshing feeling after!